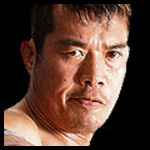 Don Fujii, Gamma, and Ryo Saito vs. Punch Tominaga, "brother" YASSHI and Hyo Watanabe. Bonus Point Question. 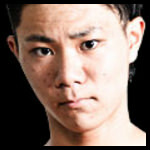 Who do you believe is Mochizuki Dojo's newest member? 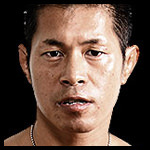 Mondai Ryu - Visually he and Skywalker fit s a tag team so I can see trying that. 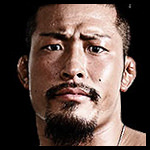 Eita continues to prove his value as a future mega-star for Dragon Gate. 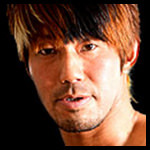 Hopefully, I can get him over to the point where he is treated as a real main eventer. 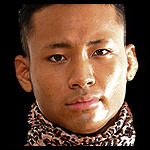 Daga was impressive as well in his debut, I like the idea of him working alongside Eita and Kanda. Meanwhile, on Tribe Vanguard side U-T's great growth continues as he's getting better and better with every match. As Shun and Masaaki made their way down to the ring to Mochi's GOAT theme "Kizudarake no Eikou", Milano and Katsuya talked about who could be Mochizuki Dojo's mystery partner. Apparently, all we know is that it's someone who knows Mochi really well thanks to him and Shun heading to All Japan in the summer for Jr. Battle of Glory. 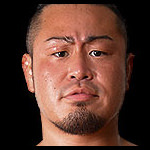 Koji is someone I really liked in the ring and thought he deserved a better stage to compete on, plus he has that Judo Style of wrestling I enjoy so much. Also, his IRL theme isn't "Full Force" but I like the track much more for Koji instead of "Birth Battle". 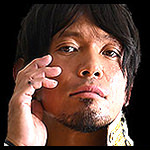 I feel like he has all the making of a main eventer and maybe pairing with Mochi might make that happen. Mochizuki Dojo is your 64th Open The Triangle Gate Champions! Everyone killed it in this match, Kzy showed why there was so much hype about his run this year, Naruki is always consistent regardless of what company I bring him in and Mochizuki is still proving why he's having a great revival of his legendary career. Iwamoto's debut was better than expected and of course, with Mochi Dojo as Triangle Gate holders, it means Kzy is free to pursue other things. I was honestly going back and forth between Bandido either winning or Kid retaining but instead deciding that Bandido could do much more if he was competing for a different title right now. As much as Bandido is an amazing 23-year old wrestler, I might have him wait a bit before he runs the Brave Gate title scene. I never expected this segment to do well as both Flamita and Bandido can barely speak Japanese and aren't great on the mic but I wanted to start this storyline to give Flamita and Bandido something bigger. IRL this match was kind of disappointing but luckily TEW believed this match was great and definitely! I'm really glad PAC got a fantastic rating and right now we should be thanking the gods that DG brought him back. This is it, my idea with Bandido as I really feel like he and Flamita would be a great team for Tribe if YAMAHulk ever lost the Twin Gate titles but for now, we've got Bandido as a potential member of Tribe Vanguard. YAMAHulk make successful defense number 5 of their Open The Twin Gate Championship. 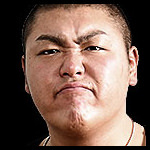 Tribe is just more over tbh, I love me some Shimizu but YAMAHulk had this defense in the bag as I can't see them dropping the belts soon for me. For a lot of people, this has been a revival for both men after Hulk horrible downfall and YAMATO's uninteresting Dream Gate reign. 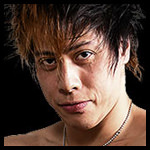 Masato Yoshino makes successful defense number 5 of his Open The Dream Gate Championship! LET'S GO BEN-K!!! That's my boy right there, so proud that he stepped up for this match and Yoshino is also deserving of great praise as he really showed why he was given both King of Gate and the Dream Gate. Give Ben-K a year and he'll be a fantastic worker for this company. tbh there was a small thought in my head that actually wanted to give Ben-K but I really was to try this upcoming storyline that you will get to see. 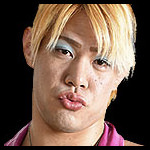 BXB HULK!! What was Hulk doing out here, was he gonna be the next person to step up to Yoshino? As BxB got into the ring, he looked right at Yoshino before pointing at the Dream Gate title. 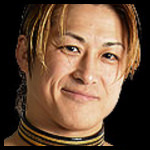 BxB Hulk: That title has eluded me for so long but not anymore, Yoshino. You vs. Me at Final Gate, what do you say? Yoshino: Your challenge is accepted, Hulk but I want to know what took you so long? Why now Hulk, what's taken you this long to confront a Dream Gate Champion? This is it, my main event angle for Final Gate. 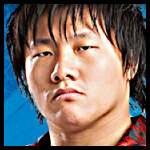 BxB Hulk's last possible title shot for the Dream Gate Championship. I'm guessing IRL DG would be building this up after YAMAHulk loses their belt but I needed to use this idea rn as I don't think Hulk has been a more viable and threatening challenger for the Dream Gate since dropping the belt in his first reign. Maybe being Twin Gate Champ going into this match might not be a good thing but who knows, we'll just have to wait for this angle to officially start. good write up! get hyp for Speedstar vs. BxB! Dragon Gate is back on tour as we head towards Final Gate at KBS Hall in Kyoto. And the main event of the show is set! BxB Hulk vs. Masato Yoshino. Both men looking to head into the new year as Dream Gate Champion and for BxB it means much more. 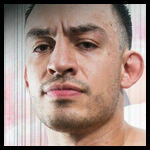 His broken-down body has caught up to him and he believes this could be his last opportunity at Dream Gate Champion. On the other hand, Masato is having his best year so far and at an all-time career high. 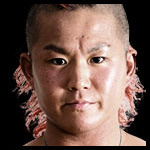 Could this the end of BxB Hulk's time as a contender for the Dream Gate Championship or will he reign victorious and cement himself as one of the greatest competitors in Dragon Gate history? Meanwhile, it seems there are some internal problems between Tribe Vanguard. 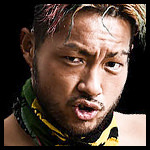 YAMATO doesn't believe that Bandido is loyal enough to Dragon Gate to deserve a spot in Tribe Vanguard. 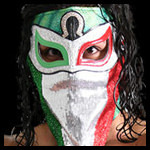 Bandido's partner outside of Dragon Gate, Flamita believes that YAMATO is wrong and Bandido deserves a shot to be in the stable. 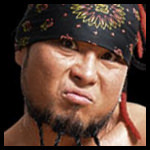 So a match was set for Final Gate by "The Almighty" himself if Bandido wins he will earn a spot as a Tribe Vanguard but if he can't defeat YAMATO, not only will he not join the faction but Flamita's spot in Tribe will be compromised. In this feud, a majority of Tribe has been split apart and broken into two sides. Flamita, U-T and Bandido are together while YAMATO has Maria and Kagetora to back him up meanwhile BxB is siding with no one as he is extremely focused on his Dream Gate feud with Yoshino. 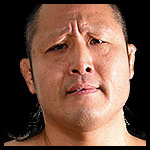 Dragon Gate's big signing Koji Iwamoto has entered a new time of his career, brought in by Masaaki Mochizuki to learn about the business before he can truly take off as the massive superstar that he really is. Heading into Final Gate Mochi-Dojo has some unexpected challenger for the Triangle Gate Titles in the form of Ryo Saito, Gamma, and Mondai Ryu?! 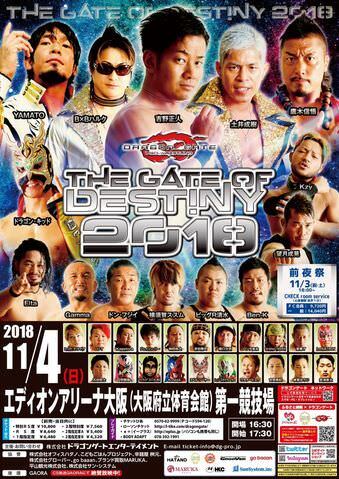 Don Fujii suffered a minor injury and won't be making an appearance at Final Gate but in return has Mondai Ryu take up his place in the Triangle Gate match that the old men earned at Gate of Destiny. 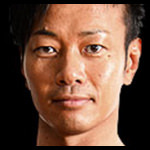 Naruki Doi has had it! He's had enough of R.E.D. running around Dragon Gate and doing whatever they feel like. 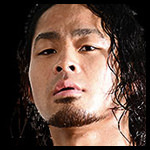 It's time to end this between both MaxiMuM and RED, he challenges Eita to a match for KBS Hall which is immediately turned into a Six Man Tag match with the one who takes the fall being forced out of the stable! President Milano Collection declares this match official and set for Final Gate. 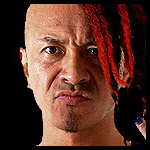 From MaxiMuM it is, of course, Doi, Kaito, and Jason to step up while Eita selects himself, PAC and Takashi Yoshida. While this was happening Keisuke Okuda pinned Dragon Kid clean and made it clear that he wants his Brave Gate Championship and the match is set for Brave Gate. These are my major feuds going into Final Gate and I will have the last two Korakuen Hall show cards before Final Gate up as soon as I can. This will kind of be the formula with my shows as recap a majority of matches and give you guys the last two house shows. For now, enjoy looking at the set matches for Final Gate 2018! Rest of the card will be added after the last two Korakuen Hall shows before Final Gate. Wherever Yosuke goess, I'll go ! Now, honestly, I just don't get why Yoshida even has a job. He's the biggest Janetty of any DG faction perhaps ever. 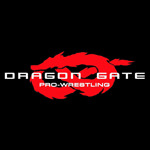 Dragon Gate Presents Gate Of Evolution/Final Gate Tour Night 6 and 7 Card. Sorry for the lateness of this card but here you are!